Are You in a Bad Data Relationship? As an avid fantasy football participant, I often hear experts warn to not “fall in love” with any particular player. Why? Because the attraction (i.e. infatuation) with that player, whether it’s due to a hot tip from a friend, or a hometown player (a “homer”), often leads to disappointing results, poor performance, and perhaps a losing team. We’re always advised to base decisions on sound business practices: work with the best, fine tune as you go, and you’ll field a winner. Following that advice, I’ve been in fantasy league Super Bowls that last several seasons. The same can be said for your CRM database. Marketers tend to “fall in love” with their data, and fail to recognize or even admit that there are imperfections in the data until it’s too late. They fail to fine-tune as they go, and those imperfections lead to inaccurate business decisions that put them into a “bad data relationship”. Regardless of the size of your file, odds are that improperly formatted, undeliverable and duplicate records make up a portion of your marketing data. On average, it could range anywhere from 10% to 40% of most data! Wouldn’t it be great to identify and correct these records before making decisions and mailing from your CRM, rather than after trays of embarrassing returned mail start to pile up? Much like maintaining a relationship, it takes time and effort to manage CRM data. Imagine a single annual data scrub tantamount to date night once a year…it just doesn’t cut it. It needs to be an ongoing process to make it work, because let’s face it: nobody wants to be in a stagnant, stale relationship OR work with stagnant, stale data. Recent industry research studies show that nearly 75% of businesses believe inaccurate data prevents them from providing good customer service, and is costing millions in wasted expense. Even worse, these companies believe that at least 25% of their data is inaccurate. CRM data affects every aspect of a business: from order processing and customer service to sales and marketing. It’s used to gain insight into finding new customers, retaining existing ones, understanding customer needs and increasing lifetime value. When data isn’t managed and maintained over time, poor business decisions are made, marketing efforts are wasted, customer relationships are affected and your company image and bottom line suffer. Over the course of the next few blogs, we’ll chat about common and hidden problems in CRM data, their sources, and some solutions you may not have thought about. Think of it as a relationship consultant of sorts. Who knows? Maybe we’ll even help you fall in love with your data all over again. PS – Don’t forget Valentine’s Day is Tuesday, Feb. 14th. 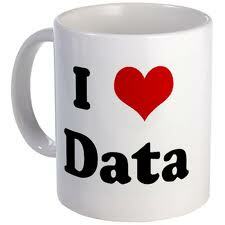 Don’t get your heart broken over bad data! Contact us now to get started.